Mount Hope has a dark, rich Vanilla Paste made from genuine Madagascar vanilla beans infused into a thick, sweet syrup. 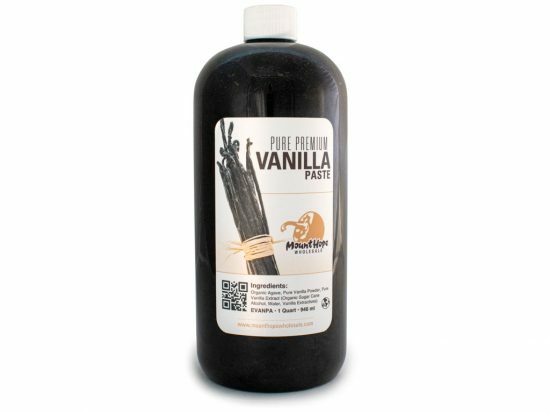 These richly flavored vanilla beans are scraped into the paste, providing the black flecks that indicate natural vanilla bean flavor. With the price of vanilla skyrocketing due to crop and supply issues in Madagascar, vanilla paste is a more reasonable alternative to the beans or extract. Many bakers and chefs like the flecks of vanilla you get when you scrape the beans, but don’t want the trouble. Vanilla paste is a quick easy way to get the flavor and look of vanilla, without the work. Whisk together eggs, milk, cinnamon, nutmeg, Madagascar Vanilla Paste, sugar and large pinch of salt in a large bowl. 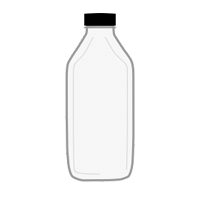 Add two slices of bread to milk mixture, and toss to coat. Heat 1 tablespoon butter in a large non-stick skillet over medium heat until foaming subsides. Place two slices of bread on skillet and cook until browned on the bottom, 2 to 3 minutes. Flip and brown on the other side, another 2 to 3 minutes. Transfer to a plate in the oven. Repeat process with remaining slices of bread. Serve French toast with maple syrup.